"I had severe pain in my neck, shoulder and arm, with accompanying numbness in my arm when I first had an appointment with Rob. I had been to a professional in another field who had helped with this condition in the past, but was not able to alleviate the pain this time. After several months of chronic pain, I came to Rob as a skeptic. I immediately appreciated his efforts to understand the type of pain, the location, the perceived causes, etc. before the massage began, and I continue to appreciate his ongoing interest as my pain decreased dramatically after just a couple of appointments. He is a professional in every sense of the word, taking great interest in his clients and great satisfaction in his work. He has seemed as delighted as I at my rapid improvement! After a few sessions with Rob, my discomfort is almost completely gone, and much better than it has been in years." Thank you for such a wonderful session this evening! I have been to a hand full of massage therapists before and by far, you were the best. My back already feels more loose. I appreciate the time you took to explain the process to me as well as making sure that I was comfortable during the session. I would recommend you to anyone! I also appreciate your walking me out to my car in the dark. I will definitely be coming back! "Having never been to a massage therapist before, I was apprehensive as any over 40, overweight woman would be. However, with the pain and overall stress I was feeling, I started searching the internet, found Rob's website and made an appointment. It was truly one of the best steps I have made to take care of myself. With every session, Rob takes the time to talk with you to determine your needs for that therapy session. He also thoroughly explains how every technique works and what you should expect. In his care, I feel safe and comfortable. His concern and caring for his client's well-being is evident in the environment he has created and his professional attitude." "Rob is a dedicated professional who shows a genuine commitment to the well-being of his clients. It's as if the clock has turned back 10 years for me in the area of flexibility and range of motion. I'm sleeping better and energy levels are increased. 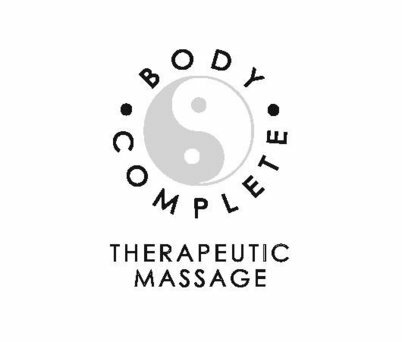 These important benefits are the result of a relatively short course of clinical massage sessions with Rob." "I have been going to Rob for over one year now. I prefer deep tissue massage and Rob has always done an excellent job! The muscles under my shoulder blades can spasm so much I can hardly stand up straight. Also, I frequently have neck pain. In my job I have to drive over 100 miles a day sometimes. This can bother my back, shoulders, and neck. Every time I have seen Rob for treatment, I have left in less pain and feeling more relaxed. I have recommended Rob to friends and family. Also, as a female seeing a male therapist, I have never felt uncomfortable. Rob is very professional and takes the time to make me feel safe. I have not always had that positive experience in the past."